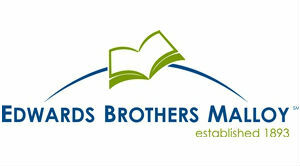 Unfortunately, Edwards Brothers Malloy (EB) closed its doors suddenly in June 2018. Even though it still had annual sales estimated to be in excess of $100 million, EB ran into financial problems which it couldn't resolve. This was a very sad end to a legendary company in the book printing industry. There is a good article on the end of this fine company on the PrintingImpressions website. Original review: Edwards Brothers Malloy (EB) is the granddaddy of book printing in the Ann Arbor area. Founded in 1893, EB has a long and solid history as a leader in book printing. They were one of the first book printers to add digital short-run capabilities and now have service centers throughout the U.S. Although geared primarily to working with established publishers, EB has been striving to make its services more available to small publishers and self-publishing authors. Edwards Brothers Malloy offers warehousing and fulfillment services which are tied into their digital print services allowing for almost full P.O.D.